Agriculture has been blamed a lot for polluting the environment, and our company and the Dept. 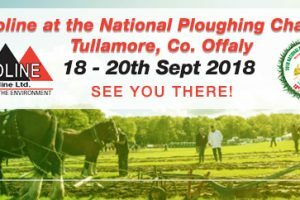 Of Agriculture has been very proactive in recent years in assisting farmers with measures to alleviate this pollution problem. Agricultural Lining – Since 1988, we have been installing 100% sealed, lined slurry lagoons to safely store all the farmyard effluents, and parlour washings etc that had traditionally been stored in old concrete dungsteads and earthen bank tanks or holes at the back of sheds. To date, we have installed hundreds of lagoons, all over Ireland, with the majority of tanks being in the Munster and Leinster areas. The membrane used to seal the slurry lagoons is a 2.5mm thick High Density Polyethylene (HDPE). This HDPE liner is welded together to ensure all seams are 100% sealed. Underneath the lining membrane, we install a leak detection network, which leads out to a monitoring manhole outside the perimeter of the lagoon itself. Sampling of the ground water can be done from this manhole by the Council officials to ensure no leakage has occurred from the lined lagoon. Certain points are identified on each lagoon which would suit best for agitating the slurry. These selected points are reinforced with a 3m wide concrete apron, poured over the liner to protect it from impact damage by the agitator. All slurry lagoons can accommodate both the pump type agitator and the propeller type agitator. Every lagoon is securely fenced around with 1.8m high fencing, including the access points. Around the perimeter of the lagoon, tyre ropes will extend down the side slopes to floor level so that if someone accidently falls in, they will have an access route to get out. Slurry lagoons qualify for Farm Waste Management Grants ranging from 40% up to 60%, depending on individuals circumstances. Lined Lagoons carry a 20 year guarantee. 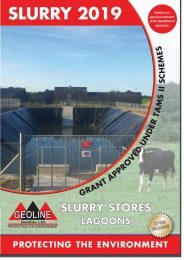 more..
Download the Geoline Slurry Lagoon Brochure for 2019. 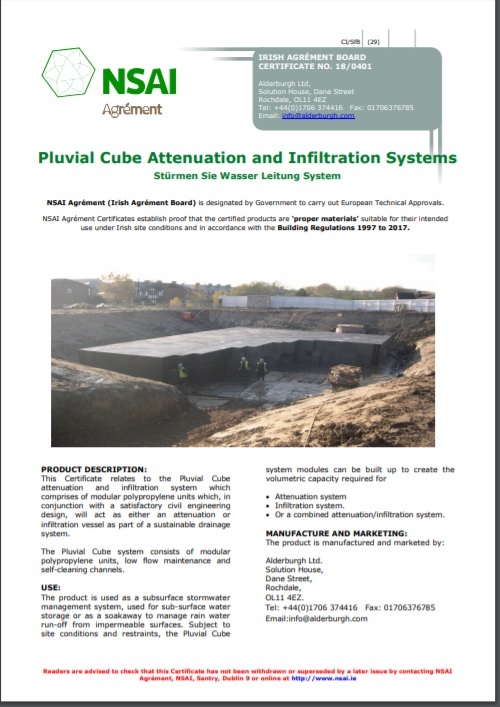 Some criticisms aimed at lined slurry lagoons is that they catch too much rain water. With this in mind, our company has developed a lagoon cover system called Combi-Cover. This cover system sits approximately 700mm above the top of the tank and it is anchored around the lagoon perimeter on concrete pad foundations. 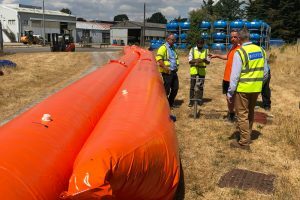 The Combi-Cover will catch all rainwater that falls in the proximity of the lined slurry lagoon and divert it away from the lagoon area via gravity. It does not need any pump system, unlike others, and once it is installed, you will not need to go near it again. 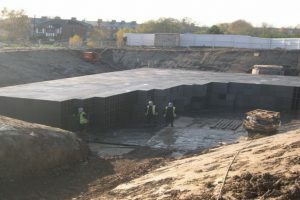 Existing lined and unlined lagoons, aswell as dungsteads, above ground concrete and metal circular tanks can be retrofitted with a Combi-Cover system. more.. In recent years, research has shown that animals, if given a choice, would spend most of their time out on a woodchip out-wintering pad (Stand-Off Pad) as opposed to being inside in a slatted shed, where they would be inhaling stale gaseous air. With this being the case, it is important to prevent pollution occurring from animals being on the Stand-Off pad 24/7 for 3 to 4 months of the year. We have worked with the Dept. Of Agriculture to design a method of constructing these pads in an Environmentally friendly way. The design incorporates a protected agricultural lining membrane at the bottom of the pad with drainage pipework buried within drainage stone on top of the liner. To finish off the pad, there is a 300mm thick layer of woodchip material. All pollutants drain from the pad area and on into the lined slurry lagoon or other proprietary effluent tank. more..